The abbey was subject to 36 seasons of archaeological excavations from 1904 to 1979, under 8 different directors. The results of these important excavations remained unpublished, except for an interim report published by Dr Courtenay Arthur Ralegh Radford in 1981. Radford’s report focused on evidence for the Saxon monastery, but neglected the archaeology of the later abbey that holds a central place in the spiritual life of medieval England and beyond. 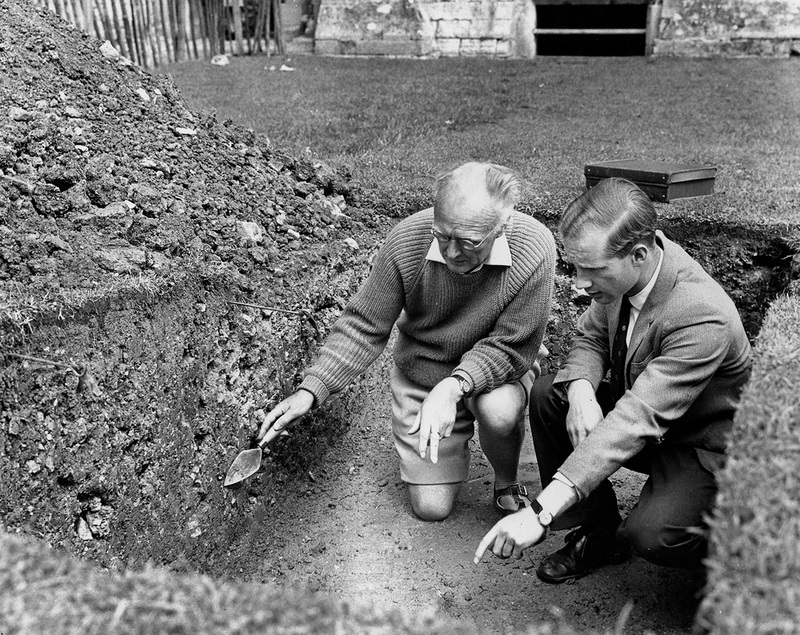 The full archive of antiquarian excavations was analysed and published by a joint project between the Department of Archaeology at the University of Reading and the Trustees of Glastonbury Abbey (2007–2013). The project was led by Professor Roberta Gilchrist FBA and funded by the Arts and Humanities Research Council (AHRC), with additional funding by the British Academy, Linda Witherill, the Society for Medieval Archaeology and the Somerset Archaeology and Natural History Society. The project unearthed new evidence about past excavations and undertook new geophysical survey and scientific analysis of artefacts. This film, made by the AHRC, examines the latest discoveries and how researchers have worked with the Glastonbury Abbey Museum, conservators and the public to explore the history of this rich and extraordinary sacred heritage site.